Pizza Month was created in October 1984 by Gerry Durnell, the publisher of Pizza Today magazine, to coincide with the launch of his magazine, according to pizza.com. Durnell owned a small pizzeria in Santa Claus, Indiana, and the monthlong celebration ultimately spread across the United States and some parts of Canada. 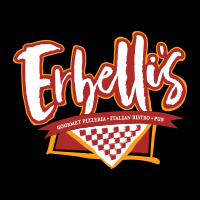 Here in Michigan, we want to help you celebrate this esteemed holiday, so we're partnering with Erbelli's Gourmet Pizza to give away a $100 gift card each week this month. In 1995, we decided to open a restaurant in Portage with the goal of making people happy by serving delicious gourmet pizzas. Since then, the simple pizzeria has expanded into two locations that serve quality foods and beverages with an emphasis on providing WOW service. Our Kalamazoo and Portage restaurants are pizzerias, Italian bistros and full-service pubs all rolled into one unique dining experience.